Political Analyst Dr David Hinds feels the Alliance for Change (AFC) had little, if any, option but to go solo at the upcoming Local Government Elections (LGE), and this decision will prove more than ever how the party stands in the view of citizens across communities countrywide. Dr Hinds told Guyana Times on Tuesday that he was not surprised by the AFC’s decision to enter the elections on its own. According to him, the only other choice the AFC had was to not contest the LGE at all; and that, to him, would have been an admission of defeat by the party. “In effect, the APNU (A Partnership for National Unity) got what it wanted. It forced the AFC to go out and prove its electoral worth in circumstances that are not favourable to the latter. 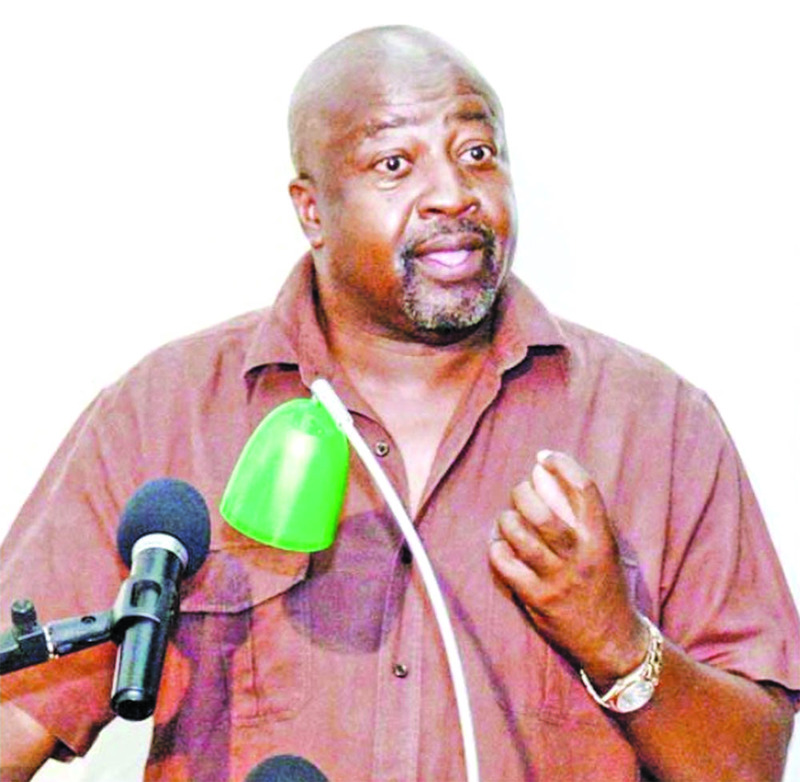 The not-so-veiled message to the AFC was clear: ‘Contest on your own, or contest with us on APNU terms’,” he opined. The outspoken political analyst said he feels it all came down to leverage, where the AFC did not have any bargaining power. Unlike in 2015, when the AFC was able to use its performance at the 2011 election to strike a hard bargain in the Cummingsburg Accord, this time around, it did not have that asset, Dr Hinds opined. Dr Hinds said the votes at the 2015 election were combined, so the AFC couldn’t accurately pinpoint its share. Further, he said if it is true that the AFC wanted 40 percent of the seat allocation, that was not the smartest demand to make, especially since it badly wanted to go into the election as a Coalition. He said this present situation gives the APNU the chance to say, “We tried to accommodate you, but your demands were unreasonable.” Perhaps a 20 percent request, Dr. Hinds reasoned, would have swayed the APNU. “But 40 percent demand was dead on arrival simply because the AFC could not demonstrate that it has that amount of electoral support, particularly in the Indian Guyanese community,” he told Guyana Times. He explained that had the AFC, from 2015 onwards, cultivated and consolidated its Indian Guyanese support base, it would have been in a stronger position to make the demands it sought. Dr Hinds went further, stating that the AFC’s decision to go alone leaves that party in an exposed position. He said the party must now prove whether its electoral support is intact or has vanished. And it has to do so in an election in which the turnout is likely to be very low. He reminded that this is the first time since 2011 that the AFC would be facing the electorate on its own. “My sense is that the PPP (People’s Progressive Party) would make it extremely difficult for the AFC to even campaign in the Indian Guyanese communities. This would leave the party with having to compete with the APNU for African Guyanese votes. The optics of the latter scenario will be interesting to watch: two coalition partners fighting each other for votes,” he said. In the final analysis, Dr Hinds thinks this LGE will tell Guyana two things about the AFC. First, it will tell the people whether the party is still a significant electoral force; and secondly, how well the AFC does will tell people what bargaining power it will have when the Cummingsburg Accord comes up for renewal. “I think the voter turnout among those who voted for the Coalition in 2015 will be very low, and this would hurt the AFC’s chances of doing well. Those who bother to vote will most likely vote for the APNU, which has the machinery to bring out some voters. So my sense is that the AFC would come out of this much weaker than (it) was in 2015. But as the say, political behaviour is unpredictable. I may be proven wrong,” Dr Hinds declared. Finally, the political analyst noted that despite all the positive spin and talks being peddled by the AFC and President David Granger about the good health of the Coalition relative to the 2020 election, the fact that they could not reach an understanding on the LGE suggests the total opposite. “Despite the positive rhetoric, the entrenched culture of party hegemony, particularly from the big partner, continues to trump the letter and spirit of coalition-building. Coalition-building requires enlightened leadership; constant meaningful consultation and mutual respect among partners; democratic decision-making and the willingness of the big partner to concede ground in the interest of the collective. I think the coalition has come up short in that regard,” he added.